Why indeed? Perhaps the greater question is, why should ANY human life be permitted? I initially read the anti-abortion article that reviewed this journal article from the perspective of opponents of abortion, and was sceptical that it was being accurately characterized. I honestly did not believe that a so-called medical ethics journal would present this question in such a manner. But it turns out that the review article is fairly accurate. 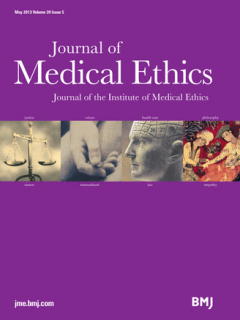 The journal paper posits that fetuses and newborns ‘do not have the same moral status as actual persons’. I regard this as an untenable position, and considering the source, an intolerable assertion. "...these bioethicists have actually done us a service. If we don’t like their conclusions, then it should actually lead us to question the premises from which they logically flow." "...we can draw one of two conclusions from that – either we should embrace infanticide or stop doing abortions." I agree, and I think the answer should be obvious to all. Human life has an intrinsic value that cannot be ignored, whether it be represented by an adult Einstein or a tiny baby. Just because future potential cannot be objectively quantified does not allow us to treat it with any less respect.